Geometric patterns: If the mosaic: No Inlay.
. 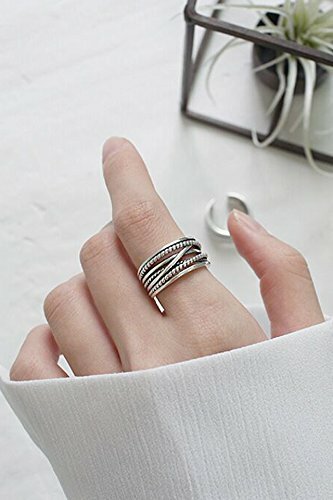 The new Korean Tide of simple rings with multiple layers of the flower twine thread retro opening female ring multi-storey Thai silver rings Men's. .